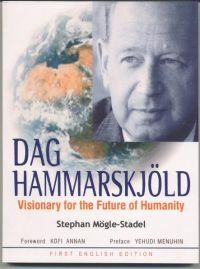 Stephan Mögle-Stadel began in 1994 to decipher Hammarskjöld's esoteric life-work. With the help of hitherto unpublished material and conversations with former co-workers he succeeded in unraveling the background of the plot of 1961. 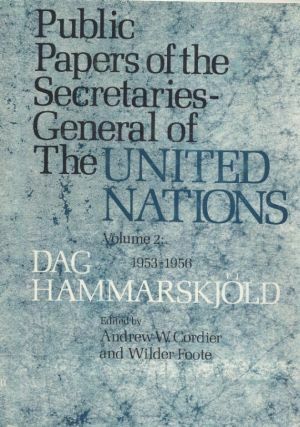 He also succeeded in tracing Hammarskjöld's path of inner development, relating to his public offices and activities. A still tangible reminder of these activities is the meditation room in the UN building in New York designed by him and executed by his artist friend Bo Beskow. 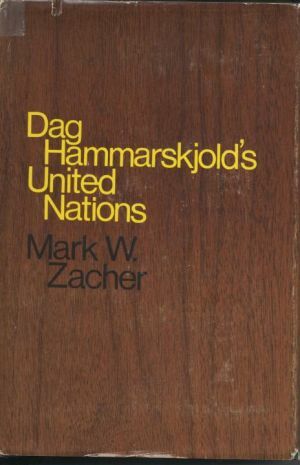 Former US-Ambassador to UN Cabot Lodge about Dag Hammarskjöld. Writer Joseph Kraft's Obituary in The New York Times Magazin. Stephan Mögle Stadel (1965- ) is a journalist and publishing consultant. He studied history and psychology and furthered his studies at the C.G. Jung-Institute for Depth psychology. He is a member of the Erich Fromm society for Social Psychology. He also worked for a research organisation linked to the Club of Rome from1996 to 1998. In 1990 he was correspondent in New York and a probationer at the United Nations in 1992. 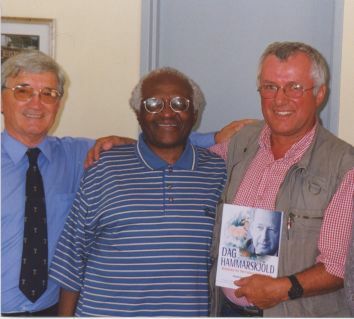 From 1993 to 1999 he was chair of the German section of WFM-International, a pressure group a.o. for the establishing of an International Court of Law for Crimes against Humanity (Rome-conference 1998). UNfinished Way - the UN in the 21. Century.
" Your book involved political as well as spiritual force." the standards he put into place." 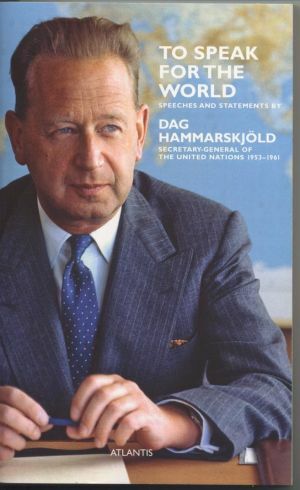 " Dear Friend, I was very moved by the manuscript about Dag Hammarskjöld. ...We have to overcome Nationalism in all its forms. Nationalism is unable to solve any problems; it is the problem- it poisons the people of the earth." " There are persons in international administration who believe the book should be impounded." " Who knows what a statesman should look like, a statesman neither exisiting between nor within but above the nations. We are familiar with the national statesman and also with the cosmopolitan, but we do not know the cosmopolitician."